BAGUIO CITY – The City Council passed a resolution expressing the local government’s sincere appreciation and gratitude to the State-owned Government Service Insurance System (GSIS) for its declaration to preserve the tree park adjoining the city-owned Baguio Convention Center by not selling or allowing it to be converted into a commercial area and further manifesting the city’s interest and willingness to be a partner in the preservation of the same. The resolution authored by Councilor Peter Fianza stated considering the value of the property, the recent pronouncement of GSIS not to sell the same is a gesture of an exalted moral excellence that should exceed the noble offer of the city to buy the tree park for its preservation. The resolution added that as clearly stated in the website post of GSIS and as reported in various papers, the statement is an assurance from GSIS president and general manager Jesus Clint Aranas made in an interview in response to the sentiments of pupils of the Baguio Pines Family Learning Center who, on January 28, 2019, submitted to Mayor Mauricio G. Domogan their letters of appeal for President Rodrigo R. Duterte to intercede in the preservation of the trees at the GSIS lot adjoining the convention center. The local legislative body stated that with the wonderful and amazing gesture, the city, to further show its appreciation and sincere gratitude, can only hope that it will be allowed to help in the preservation of the trees in any way possible. 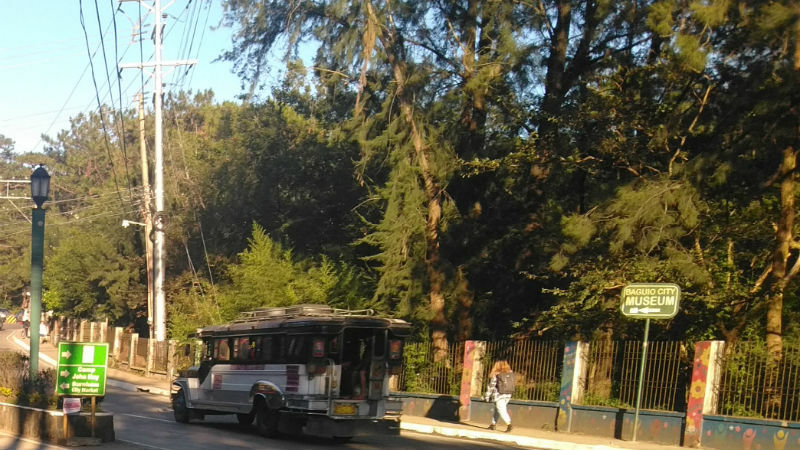 On February 4, 2019, the GSIS posted in its website a statement to the effect that GSIS will preserve the lone tree park in Baguio city that will neither be sold nor allowed to be converted into a commercial area by any party. Earlier, the local government offered to purchase from GSIS the said property so that it will preserve and protect the same as it is the only remaining tree park right at the heart of the city serving as a breathing space due to the presence of hundreds of trees that absorb pollutants emitted in the air. The resolution manifested to the GSIS the local government’s willingness to be a partner in the preservation and protection of the tree park and that it shall be tasked with responsibilities as may be contained in any program or memorandum as may be formulated or entered into by the parties. Previously, GSIS owns the whole property including the Baguio Convention Center and the existing parking area but the local government purchased the convention facility and the parking area from the State insurance corporation sometime in 2012. The GSIS tree park plays host to more than 500 assorted tree species and endemic birds thriving there for decades now thus it was requested that it be preserved and protected by relevant government agencies and the local government. In 2004, there was an attempt by a developer to put up a multi-storey condominium structure in the property but the same did not push through because of the overwhelming opposition from the local government and residents of the city.